In last week’s edition of The Retirement Coach Strategy of the Week, we examined the misconception that international investing equals investing in the “economy” of the country or region in which the company is headquartered. Where a company’s headquarters is located has become much less relevant when evaluating their potential success. A more accurate method of evaluating a company’s opportunities is through a “revenue lens”, i.e. where their revenue comes from. However, this stopped short of answering the question of why we would want to ‘invest internationally’. The answer to that question lies in demographics. The United States, and the model in which it was built with free enterprise and the protection of personal property rights, has spawned the greatest advancement of living conditions and individual wealth in human history. Unfortunately, many other nations took a longer period of time to institute and protect the personal freedoms which led to this explosion of improvements. Slowly but surely, however, this is all changing. The living conditions and wealth of billions of individuals all over the world are rising rapidly, especially in developing market nations. As you might imagine, this move up the wealth ladder has led to a rapid change in consumption patterns, and an increased need and desire for upscale goods and services including luxury apparel, health care, automobiles, and travel. In health care, for example, Novo Nordisk has a 50% share of the global insulin market. Just think about controlling half the world’s supply of insulin! Currently, 40% of their revenue comes from sales in the United States. Now, let’s look into the future for Novo Nordisk. With the rapid movement into the middle class in so many developing nations that I noted above, the ‘westernization’ of diets has led to increased levels of diabetes. Increased diabetes leads to increased demand for insulin. Just imagine what their marketplace will look like in 20 years. On the heels of the announcement that Apple’s cash reserves alone would make it the 17th largest company, many have questioned CEO Tim Cook’s plan to continue their stellar growth. Cook talked about two major markets in which he thinks Apple has potential to sell many more iPhones. The first is China. Apple is already doing well there, but Cook believes there’s an opportunity to do even more. Another example is air travel. As the lifestyles of these upwardly mobile millions of people begin to increase, so will their desire to travel for pleasure, and for business in order to actively participate in global trade. Companies who create the infrastructure necessary will also benefit, including roads, railroads, electricity, and telecommunications. All of these are crucial to the movement of goods and services to this growing group of individuals. The marketplace for all companies today has expanded rapidly, and will continue to expand based on these demographic shifts and future trade agreements. The key point to grasp is that the location of the headquarters of a company is less and less important in evaluating their future. Whether it’s an American based company like Apple increasing sales in China or India, or a Swiss based pharmaceutical company selling insulin in the United States and abroad, who they’re selling to and the potential that brings is the critical factor. When you’re building your diversified Retirement Bucket™ of investments, it would be very shortsighted to limit your holdings to companies headquartered in the United States alone. By doing so, you’re missing out on the opportunity to own companies headquartered outside the United States who not only sell to individuals in these rapidly expanding developing market countries, but also right here in the United States. That would be the equivalent to fighting the heavyweight champ with one arm tied behind your back! 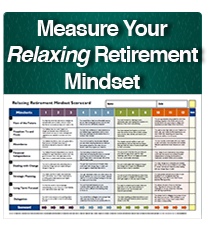 In your never ending battle to have your Retirement Bucket™ keep pace with your rising lifestyle costs, you want to stockpile and own as many good companies as you can who are positioned to take advantage of these growth patterns all over the world.